Teeth they come in handy when you chew or smile! 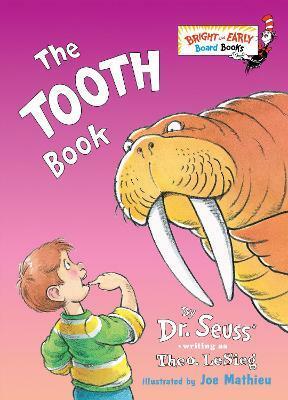 In Dr. Seuss s hilarious ode to teeth, little ones will laugh out loud as they find out all the things teeth can do and how to take care of them so they last a lifetime! All the fun and charm of the original book are in this new board book version for the youngest readers." Teeth-they come in handy when you chew or smile! In Dr. Seuss's hilarious ode to teeth, little ones will laugh out loud as they find out all the things teeth can do and how to take care of them so they last a lifetime! All the fun and charm of the original book are in this new board book version for the youngest readers.